Voigt describes the inspiration for his journey and the podcast as a positive reaction to a stressful 2017, a year which culminated in a serious health scare for him and his growing family. "This fast-paced world was adding so much stress everywhere I turned,” says Voigt. “That is when I realized the key to success and happiness is being adaptable and ready for the next change. I call it Agile Living." After connecting with many individuals, both business entrepreneurs and in his personal life, who wanted to hear his story, Voigt decided to take a risk. He wanted to speak with others who had similar experiences, who were also on a mission to reduce their stress and build a more agile life. He and his family sold their home in Toronto and towed an Airstream across the continent to meet and connect more closely with digital leaders who shared their vision. He sees a future where we can be more adaptable, flexible, and more readily take on this ever-changing world. Hitting major cities en route from Toronto to Vancouver, including Chicago, Denver, San Francisco and others, Voigt interviewed experts in a variety of fields from health, business, and more. He discovered many who shared his ideas and values and recorded interviews which will be released as episodes of the podcast. In the first two weeks, episodes will be released on a daily basis and then a weekly release schedule will follow. To launch, the podcast will be promoted with a contest that includes several prizes aimed at helping people start their Agile Living journey. 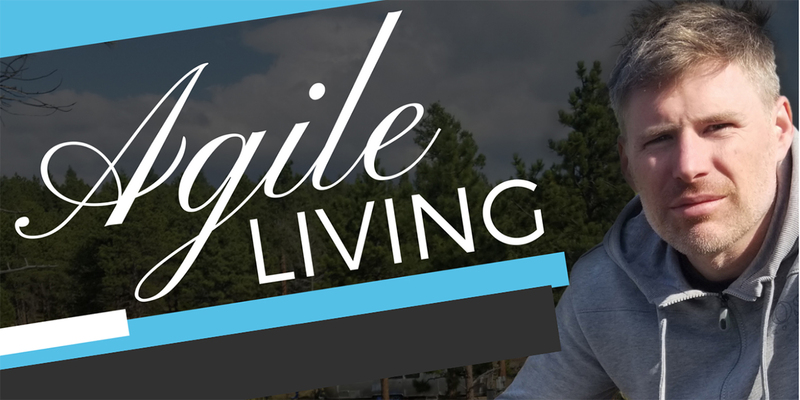 Those interested in the Agile Living Podcast can subscribe via Google Play, Spotify, Stitcher, or iTunes. The contest can be entered by visiting the Agile Living website page and clicking on 'Enter to Win': agilitycms.com/agileliving.